It has merely been a month since Samsung introduced its new Galaxy A series. The Galaxy A10, A30 and A50 were the first three devices to arrive. It’s known that there are others which Samsung will eventually release in the coming months. One such device, the Galaxy A20, has now been officially launched in Russia. 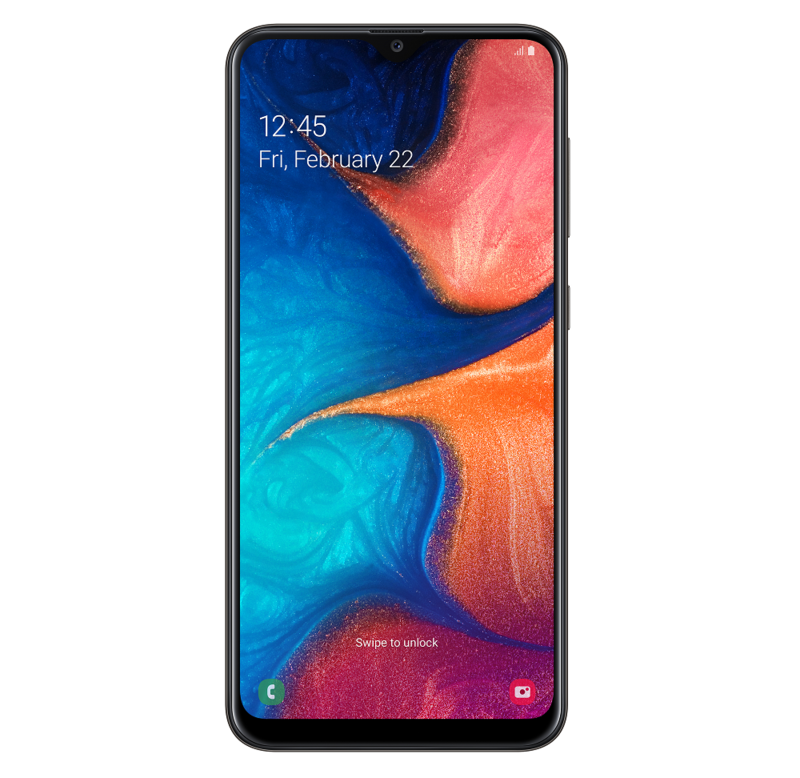 Samsung Russia has officially confirmed the Galaxy A20 specs and price. It appears to be the only market where this handset has been revealed so far. The company announced it in Russia alongside the Galaxy A30 and A50. The Galaxy A10 has not been launched there. The Galaxy A20 slots between the A10 and the A30. It has a 6.4-inch HD+ (720×1560) Infinity-V display with the same 3D Glasstic build as the other handsets in this series. It’s powered by the Exynos 7884 processor with 3GB of RAM and 32GB storage. External expansion up to 512GB is possible with a microSD card. The Galaxy A10 has a 6.2-inch HD+ display and the Exynos 7884 with 2/3GB RAM and 32GB storage. While the Galaxy A10 has a 5-megapixel front camera, the Galaxy A20 bumps it up to 8-megapixel. It also gets a 13MP (f1.9) + 5MP (f2.2) rear dual camera system instead of a single 13-megapixel camera. The other noticeable improvement is in the battery department. It has a 4,000mAh battery compared to the Galaxy A10’s 3,400mAh battery. You will also find a fingerprint sensor at the back. Customers in Russia will be available to purchase the handset from Samsung’s brand stores, its online store and retail partners across the country. It’s priced at 13,990 rubles or $215. Samsung will likely be releasing the Galaxy A20 in other markets across the globe in due course. It also has an event scheduled for April 10 where other new Galaxy A devices like the Galaxy A90 may be announced.